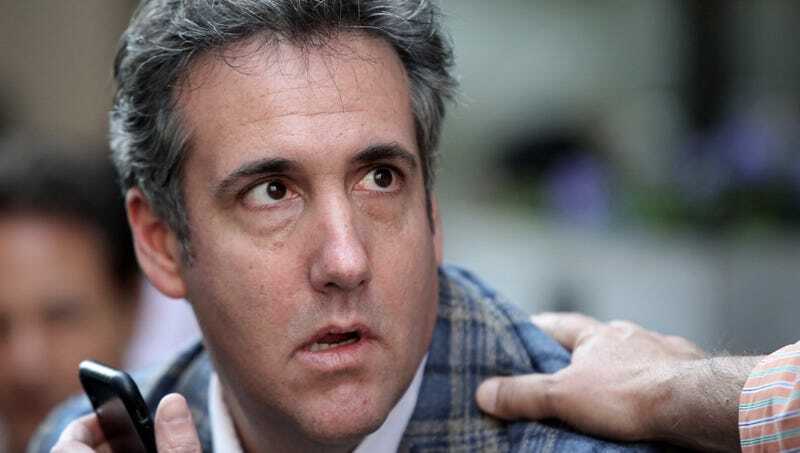 WASHINGTON—Claiming that such an obviously corrupt and dishonest individual could not be trusted to provide accurate testimony, the president’s lawyers reportedly moved to discredit Michael Cohen Thursday by pointing out his long history of committing crimes for Donald Trump. “We’re talking about a man who has threatened and slandered multiple women that Trump slept with, so how are we supposed to believe anything he says?” said attorney Rudy Giuliani, telling reporters that Cohen’s decades-long track record of wire fraud, tax evasion, and brokering shady real estate deals at the behest of the Trump Organization suggested he would likely tell investigators anything they wanted to hear in order to save his skin. “This isn’t just someone who made a few mistakes—whether it was laundering Ukrainian money through Trump properties in the early ’90s or violating campaign finance laws to benefit Trump during the 2016 election, Cohen has proven time and again that he is an inveterate liar and scofflaw. And these are only the crimes we know that he carried out for Trump. In the weeks ahead, we expect many more illegal practices to surface, which will only confirm Michael Cohen’s complete lack of morality.” Giuliani added that Cohen’s felonious conduct was evident from his known association with high-profile criminals including Michael Flynn, Paul Manafort, Rick Gates, George Papadopoulos, Jared Kushner, Ivanka Trump, and Donald Trump Jr.